Dubbed the "Dark Lord of Logos" and the "Paul Rand of Metal, " prolific logo designer Christophe Szpajdel is best known for a style now copied by countless death-, black-, dark-, white-, gothic-, and Nordic-metal bands: dense, rhizomatic, with gestural flourishes that alternately conjure images of moss, talons, corpuscles, or decay. Fittingly, he's designed logos for bands from Pyre, Vultures, Human Remains, Vomit of Torture, and Sadistic Passage. During his visit to Minneapolis as part of the Walker Art Center's 2011–2012 exhibition Graphic Design: Now In Production, I asked him to do one more logo: that of the museum itself. 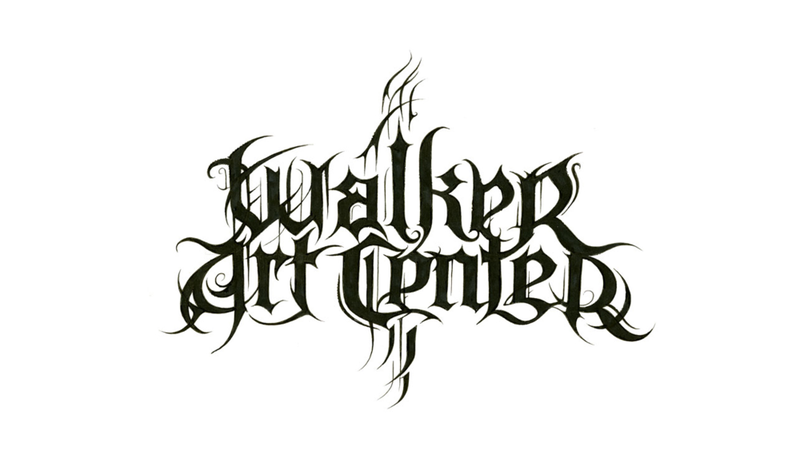 He obliged, creating a Walker logo that combines references to Art Nouveau and plant life in the Minneapolis Sculpture Garden, with a touch of black metal thrown in. In my video interview he discusses the logo that now graces Walker t-shirts and totes and, briefly, the Walker homepage.